Julio Borges, who once led Venezuela's opposition-controlled National Assembly, said Tuesday that the arrests of two high-ranking military officers in connection with the attack using drones loaded with plastic explosives is yet another signal that fractures within the nation's armed forces are growing. "The conflict today is within the government — not just at the political level, but more importantly within the armed forces," Borges said in an interview with The Associated Press in Colombia's capital. His comments came hours after Venezuela's chief prosecutor announced the arrest of Gen. Alejandro Perez and Col. Pedro Zambrano from Venezuela's National Guard as part of the investigation into the Aug. 4 attack. Their alleged roles were not described. Authorities said they have arrested 14 people so far while Borges and other alleged conspirators are being sought. Maduro has accused Borges of plotting with others to train anti-government saboteurs in Colombia and transport the drones and explosives used in the attack across the border into Venezuela. Borges, who fled to Colombia with his family following the breakdown of negotiations with the government this year, said he had no prior knowledge of the plot. "Not at all," he said in his simple, bare office in a drab building in Bogota. Almost from the moment the attack took place, Venezuela's opposition has warned that Maduro would use the incident to intensify a crackdown on his opponents as the government seeks to tamp down discontent over the country's imploding economy. In the past week, the number of suspects and detainees has nearly doubled. Among those in custody is another opposition lawmaker, Juan Requesens, who was charged with treason and attempted homicide. Officials released videotaped testimony of Requesens that they say shows an admission of involvement in the alleged plot, but he never mentions the attack itself. In the video, Requesens is heard telling investigators that he helped Borges ferry one of the alleged ringleaders into Venezuela from Colombia. Relatives of Requesens deny he participated in any plot. They say he is being unjustly jailed for being an outspoken critic of Maduro's government and policies that the opposition blames for Venezuela's severe shortages of food and medicine as well as hyperinflation that the International Monetary Fund has said could reach 1 million percent by year's end. 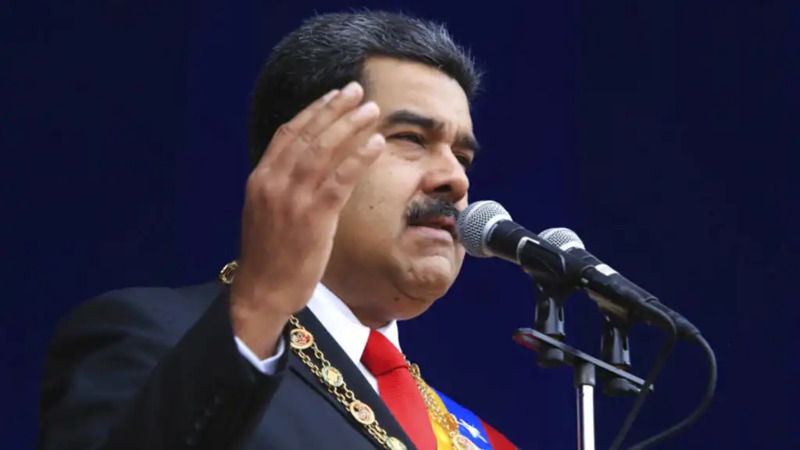 The drone attack came as Maduro was delivering a speech at a military ceremony in Caracas. 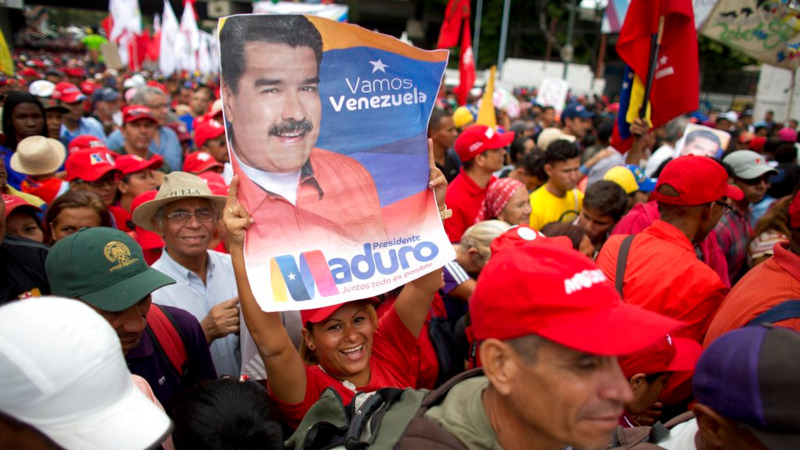 Video footage of the event being aired live on state television shows Maduro, his wife and several other high-ranking officials suddenly looking up to the sky. The video then pans to hundreds of uniformed soldiers scrambling out of their formation in panic. 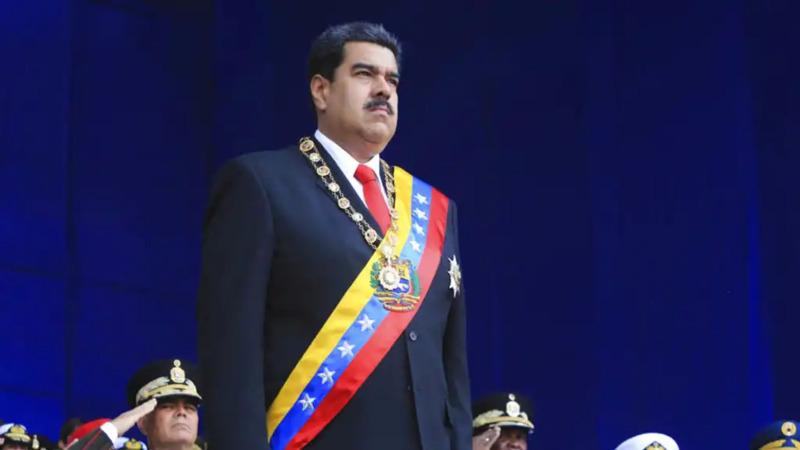 Authorities say two drones were aimed at the stage where Maduro was speaking but the military succeeded in knocking one off its path electronically while the other crashed into a nearby apartment building. Seven soldiers were injured but Maduro was not harmed. Since taking over Venezuela's presidency in 2013 following the death of Hugo Chavez, Maduro has sought to maintain the loyalty of the armed forces by awarding troops outsized bonuses and bestowing officers with top government posts. With Venezuela reeling economically, and its oil production collapsed to levels unseen since the 1940s, that support has become even more important. Maduro and top military commanders dispute the idea that dissention is growing in the armed forces, but analysts say discontent has been brewing among rank-and-file soldiers, many of whom now need to find second jobs in order to put food on their families' tables. "Maduro is facing a divorce with the armed forces, which is apparent in the various rebellions that have taken place in recent months," Borges said. "That's opened a road which is irreversible." The drone incident was not the first attack targeting Maduro's government. Rogue police officer Oscar Perez stole a helicopter and flew it over the capital in June 2017, launching grenades at the Supreme Court building. He and several comrades died in a gunbattle with police after months on the lam. A year ago, a small band of armed men assaulted an important military base. Attorney Alonso Medina Roa said 154 members of the military have been detained in recent months as discontent and instability escalates within the armed forces. Borges, the founder of the Justice First party, served as the opposition's top negotiator in the failed dialogue with the government and is one of the beleaguered anti-government movement's most visible leaders. Maduro has called him the mastermind behind the drone attack and Venezuelan officials have requested his extradition from Colombia. "Borges you are an assassin," Maduro said on state television. "Life gave you the chance to conduct politics freely in Venezuela but you've turned into a killer in Colombia." 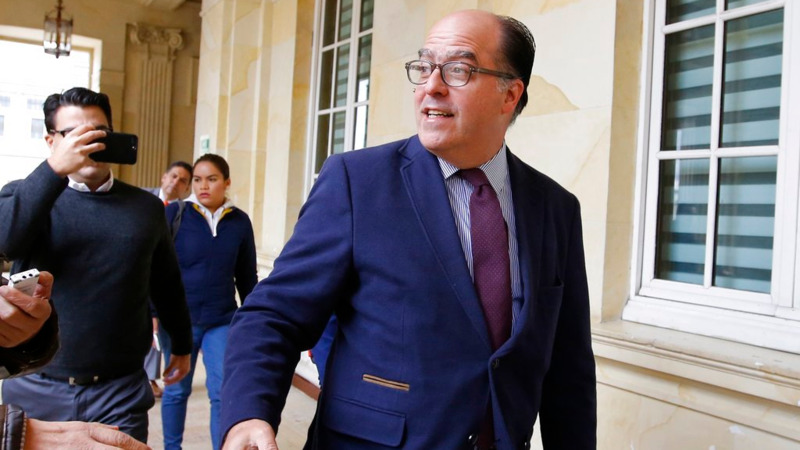 Borges brushed off Maduro's allegation, describing it as one more baseless charge by a government that regularly claims to have stymied opposition attacks. "Fear is the government's last resort left," Borges said. "They want to appear like a strong government. And they're not."